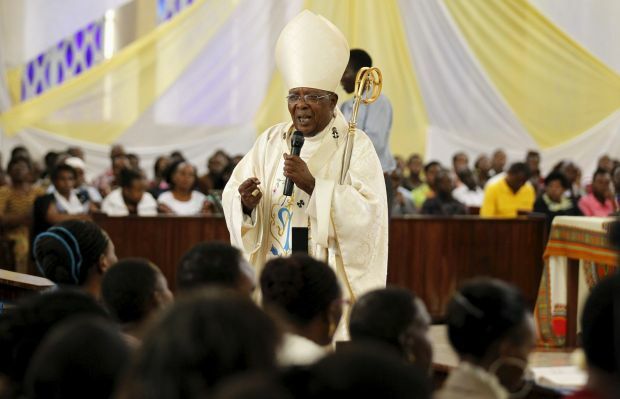 NAIROBI, Kenya (CNS) — The president of the Kenyan bishops’ conference called on Easter worshippers to commit themselves to praying for peace and security in their homeland after militants attacked a college campus days earlier. “In union with all people of goodwill throughout the world, his holiness condemns this act of senseless brutality and prays for a change of heart among its perpetrators, “said the pope’s message in a statement sent by the Cardinal Pietro Parolin, Vatican secretary of state. He reminded Christians that Christ was persecuted and suffered for the sake of people’s sins and told them never to give up even in the face of terror. “We as a nation are undergoing through many challenges and we must remain fixed to things above. Let us pray for the families and victims of Garissa terror attack and let their dead be a meaning to us.” Cardinal Njue said. Meanwhile, Kenyan president Uhuru Kenyatta April 4 announced three days of national mourning, in the wake of the attack. In an address to the nation, Kenyatta cited those who have stood with the country as it dealt with the aftermath of the attack, including the United States, United Nations and Pope Francis.